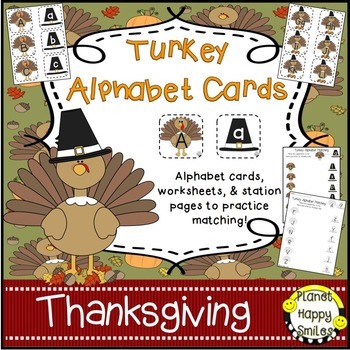 This set is a Turkey/Thanksgiving theme in alphabet cards for your students to use in small group, 1-on-1, and in centers or stations. The children can use the cards in a variety of ways! 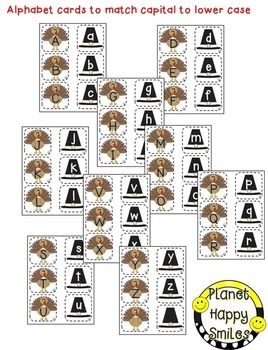 These are great for alphabet sequencing, matching, sorting, mini word walls, letter-of-the-day, etc. 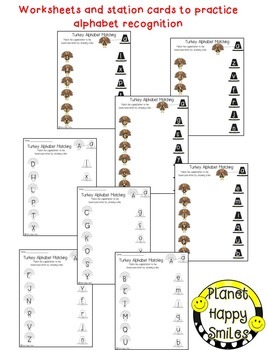 We also included some worksheets to check for your students understanding of capital and lowercase matching. There is also some station pages to use in a station by printing on cardstock, laminating, and using a dry erase marker.